On 27 September ALL DIGITAL and MEP Emilian Pavel organised a policy debate at the European Parliament ‘Media Literacy and Digital Skills for Active Citizenship‘ where the statement was announced. 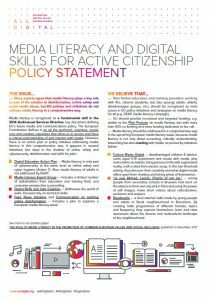 … Many experts agree that media literacy plays a key role as part of the solution to disinformation, online safety and social media abuse, but EU policies and initiatives do not address media literacy in a comprehensive way. Digital Education Action Plan –> Media literacy is only part of cybersecurity, at the same level as online safety and cyber hygiene (Action 7). Also, media literacy of adults is not addressed by DEAP. 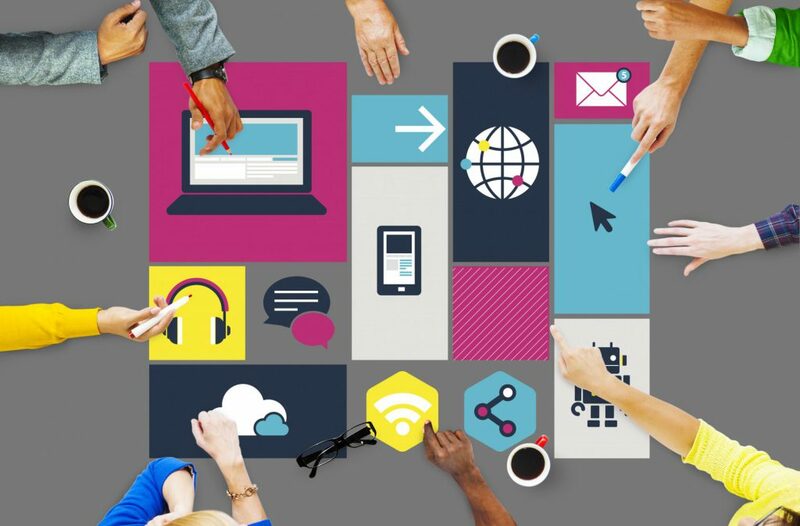 Media Literacy Expert Group –> Includes a limited number of stakeholders from education and training field, and consumer perspective is prevailing. Digital Skills and Jobs Coalition –> Addresses the world of work, focused only on technical skills. Fake News Initiative and Communication on tackling online disinformation –> Includes a plan to organize a European media literacy week. … Non-formal education and training providers working with ALL citizens (students, but also (young) adults, elderly, disadvantages groups, etc.) should be recognized as main actors in EU policy initiatives and strategies on media literacy for all (e.g. DEAP, media literacy campaign). … EU should provide increased and targeted funding, e.g. similar to the Pilot Projects on media literacy, but with more than 60% co-funding and more funding dedicated to the call. Culture Meets Digital – disadvantaged children & adolescents aged 6-18 experiment and create with media: play instruments via tablets, bring pictures to life with augmented reality, craft a robot from electric scrap. In this low-threshold setting, they discover their creativity and what digital media offers apart from chatting and taking phots of themselves. “Je suis Ahmed, Leonie, Charlie of net nie.” – young people from secondary schools in Brussels look back on the attacks in their own city and in Paris and using the power of still images, make short videos about radicalization, exclusion and respect.